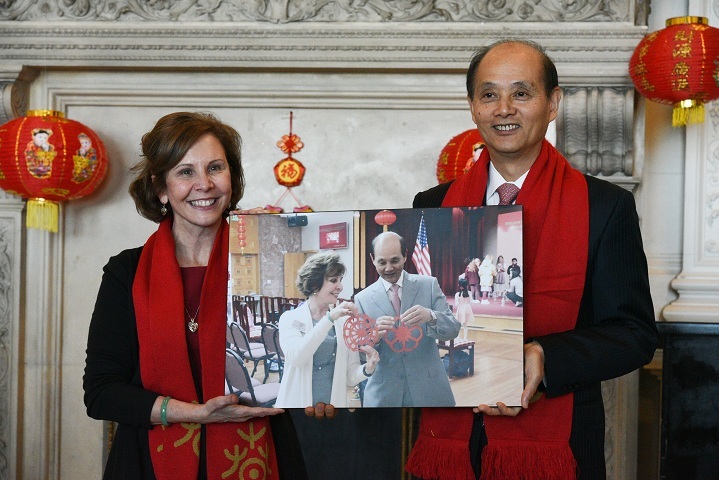 Consul General Luo wished the students and the teachers a very happy Chinese New Year, promising that the Chinese Consulate General in San Francisco would keep on bringing the best artists from China to Schools of Sacred Heart and other schools in the Bay Area, sharing the best of Chinese culture with American young people. 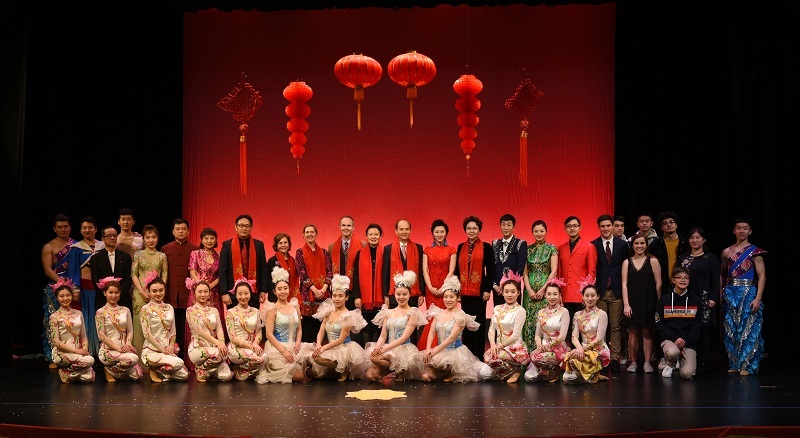 President Ann Marie Krejcarek thanked the support of Chinese Consulate General and said that the annual Chinese New Year celebration had become an excellent plat-form for the students to get to experience Chinese culture. 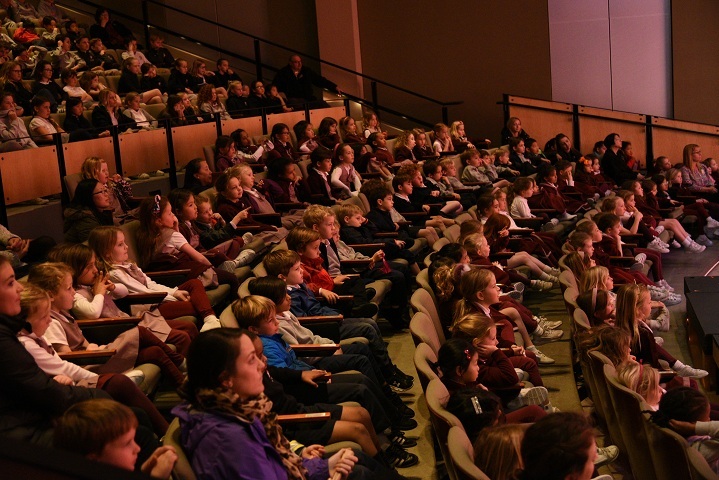 The Syufy Theatre at the campus was decorated with lanterns and Chinese knots, filled with music, laughter and applause. 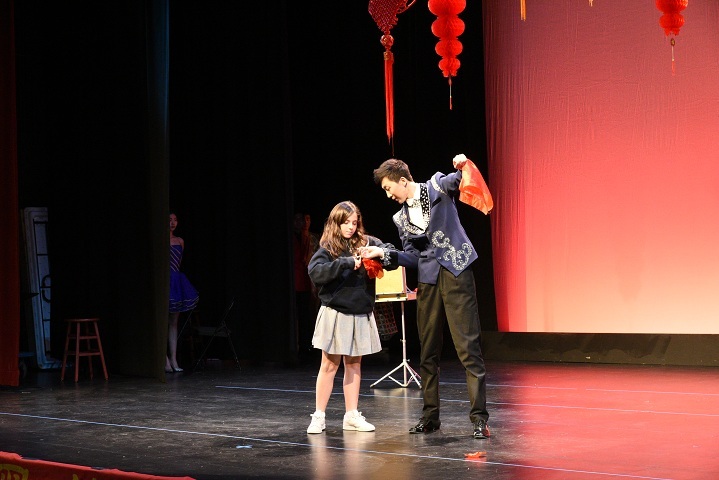 The songs and dances full of northern China flavor attracted the students and teachers deeply, the magic show received exceptional warm welcome especially when the magician invited a student come up to the stage to perform with him. When the singer began to sing Jasmine Flowers, twenty students who have been learning Chinese came up to the stage to sing along with her. After the performance, President Ann Marie Krejcarek held a small reception for the artists. She thanked them for their wonderful performance and gave each of them a small gift as a souvenir of these unforgettable experience.